UPDATED Feb. 11, 2019. There is a wide variety of Pennsylvania Medicare Plans for people aged 65 years and older, or with disabilities. There are also Pennsylvania Health Insurance Plans for people under age 65. The alternative to using the Original Medicare is to enroll in one of Pennsylvania’s Medicare Advantage Plans. These plans are offered by private insurance companies. They cover all services as provided by the Original Medicare program. Plans typically include a Medicare Prescription Drug Plan and extra services such as gym membership, wellness programs as well as dental, hearing and vision services. If you are covered by the Original Medicare in Pennsylvania, you should enroll in one of the stand-alone Medicare Prescription Drug Plans (PDPs). The enrollment is optional. However, there is a penalty charged for delayed registration, making enrollment a practical necessity. PDP’s are run by private companies that cover both generic and brand name drugs. Most of these are well-known companies that conduct business across most of the United States. 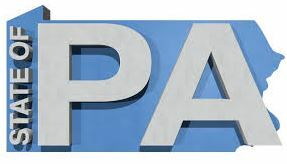 Pennsylvania has two SPAPs, namely, PACE and PACENET. These programs help to pay for prescription drugs based on financial need, age, or medical condition. Original Medicare does not cover all of your medical expenses. Medicare Supplement Plans (Medigap Plans) provide protection against Original Medicare out-of-pocket costs. The costs include deductibles, co-payments, coinsurances and excess charges. Your Medicare health costs may be very significant without such plans. Plans are sold by private insurance companies licensed in Pennsylvania. Pennsylvania Medicare Supplement Plans describe Pennsylvania specific Medigap regulations, and provide a Liberty Medicare list of Pennsylvania Medigap carriers. Qualified Health Plans (QHPs) refer to health plans that are compliant with the Affordable Care Act (ACA). They must include Essential Health Benefits and provide all required by law Benefits and Protections. The plans may be sold through Health Insurance Marketplaces, also known as Exchanges, as well as directly through insurance vendors. See Liberty Medicare list of Individual Comprehensive Major Medical Providers. Pennsylvania Short Term Health Insurance provides health insurance for individuals and families in times of transition. Short Term Health Insurance covers the need for temporary medical coverage. It is an alternative to Qualified Health Plans whenever those plans are either unavailable (i.e., fall outside of Annual Enrollment Period) or unaffordable. See Liberty Medicare list of Short Term Health Care Providers. Indemnity Dental Insurance. With this dental insurance, you may choose your own dentist, as there are no network requirements. PPO Dental Insurance. This dental plan operates through a network of preferred doctors whose services are based on discount fees. Fees are higher for patients who visit doctors outside of the net. Dental Discount Plans. These plans are not dental insurance. Instead, they are an agreement by the participating doctors to offer discount prices for the majority of dental work. All of the above dental insurance plans are available in Pennsylvania. See Liberty Medicare list of Dental & Vision Insurance Providers. Pennsylvania supplemental insurance plans, such as Hospital Indemnity plans, Recovery Care plans and Critical Illness plans, are Indemnity Health Plans. They allow you to visit any health provider without health network limitations. Such plans pay you the specified cash amount for each covered service, regardless of what the provider charges you. A variety of Supplemental Plans are available in Pennsylvania. See Liberty Medicare list of Individual Supplemental Insurance Providers. Liberty Medicare is here to help you through the entire process of selecting and enrolling in the best, most suitable for you Pennsylvania Health Plan (either Medicare Plan or Individual Health Insurance Plan). Liberty Medicare represents many well-known Medicare and Individual Health providers in Pennsylvania. Learn more about all the benefits of working with Liberty Medicare. If you are looking for Pennsylvania Health insurance, let us guide you. To view real quotes from insurance providers, please fill out the Medicare Quotes or Individual Health Quotes form. Alternatively, you may give us a call at 877-657-7477, and you will be connected to a licensed agent/broker.